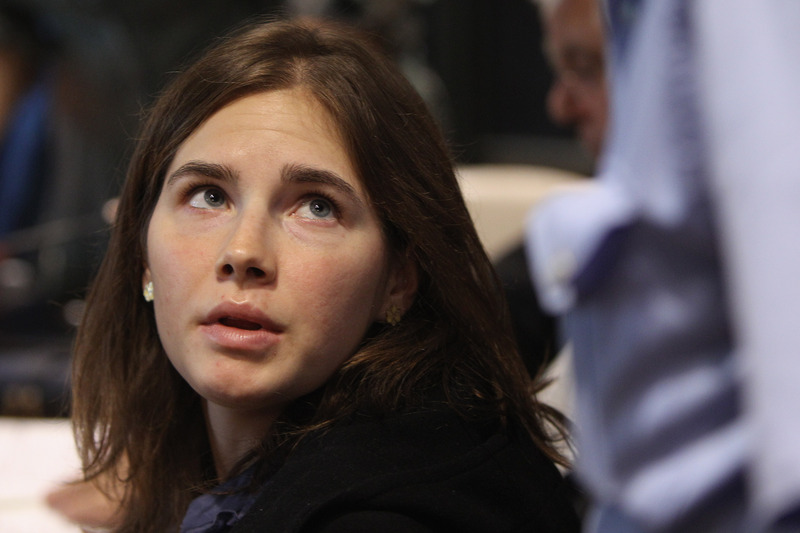 The Amanda Knox saga continues: On Tuesday, the Italian court that convicted Knox in 2007 of the murder of her roommate, Meredith Kercher, made a 300-plus page document public for the first time, which details the evidence used against Knox as well as the reasons for the conviction. According to the document, Kercher and Knox were in a heated argument the night Knox died over finances, and Kercher was killed by more than one assailant. The document claims that along with drug dealer Rudy Hermann Guede and Knox's former boyfriend Raffaele Sollecito, Knox murdered Kercher with two knives while one person restrained the 21-year-old British student. Kercher was found dead in the apartment shared with Knox in Perugia, where the pair were attending college. The court says it has plenty of evidence that shows Kercher and Knox had a strained relationship, even though Knox has refuted this in court. It is a matter of fact that at a certain point in the evening events accelerated; the English girl was attacked by Amanda Marie Knox, by Raffaele Sollecito, who was backing up his girlfriend, and by Rudy Herman Guede, and constrained within her own room. This new document opens the door for an appeal, which would need to be filed within 90 days. If a conviction was upheld in the appeal, Knox could quite possibly be extradited to Italy. Since 2011 when her 26-year prison sentence was overturned, she's been back in the U.S. Although the highest court in Italy convicted Knox and Sollecito again in January, Knox says she will not return to Italy unless she's forced to go back. Knox was sentenced to 28.5 years in prison, while Sollecito was sentenced to 25 years. Knox made her pledge on ABC’s Good Morning America, stating that she would “fight this to the very end.” Knox was first convicted for the murder of British exchange student Kercher in a trial in Italy in 2009, but the charges were overturned by appeal in 2011, and she was freed after serving four years in prison.